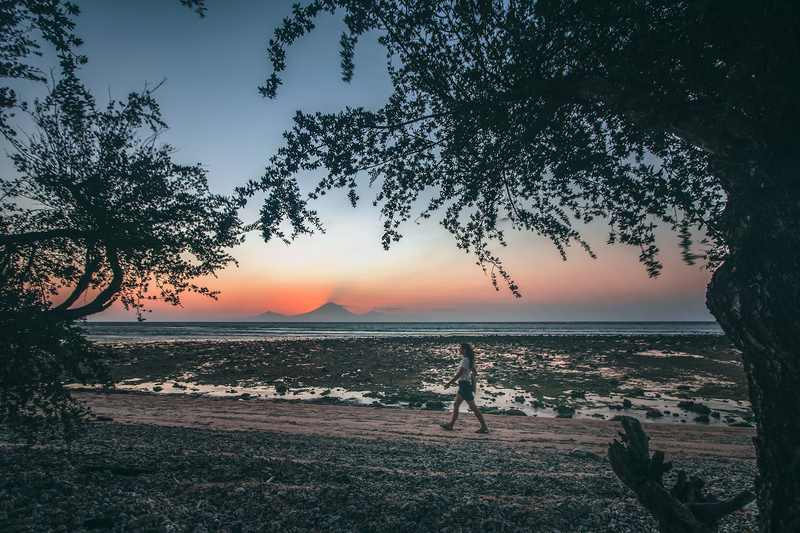 Is it safe to travel to the Gili Islands after the earthquakes? 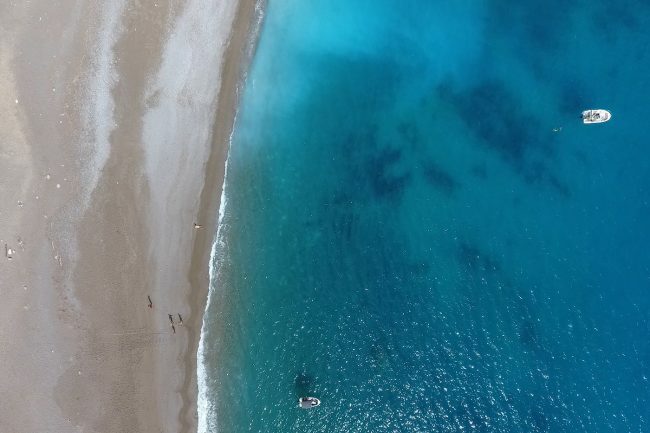 Should you cancel your travel plans after the devastating earthquakes that hit Lombok and Sulawesi? 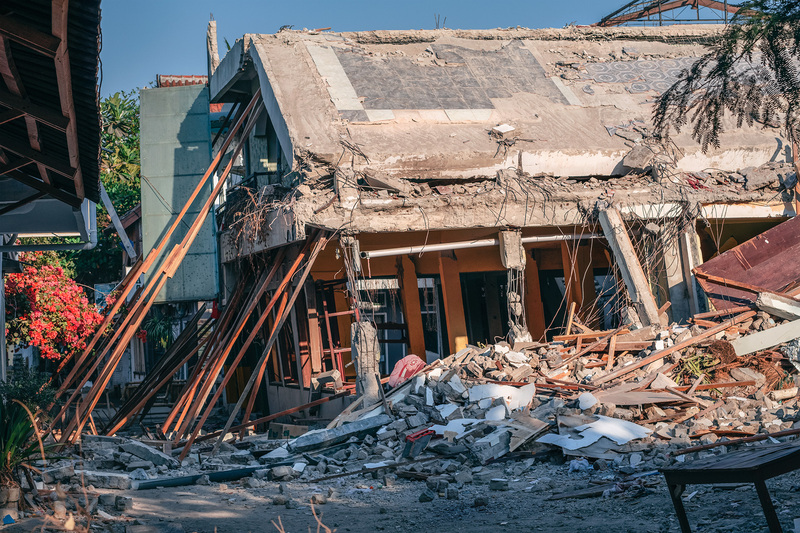 It was a tough year for Indonesia with a series of devastating earthquakes. Thousands of people died, and the impact will be felt for many years to come. 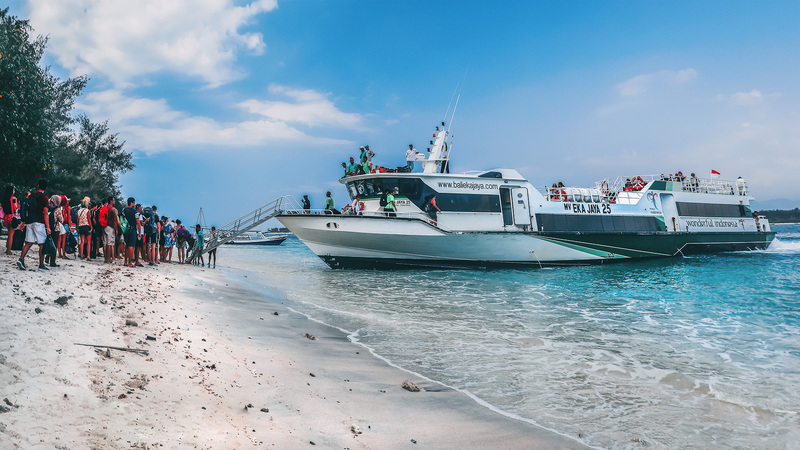 The destruction on the Gili Islands forced visitors to flee the archipelago, which led to an evacuation crisis. It’s easy to understand why you might be nervous to visit the islands. Truth is, earthquakes in this region are frequent and hit without warning. Nobody can tell you whether it’s safe to go right now – or at any time, for that matter. 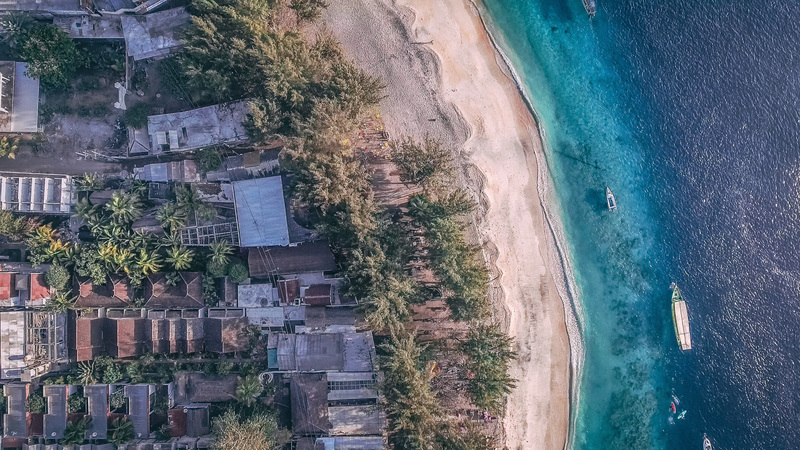 We arrived in Bali on September 18th, 2018 and initially planned on visiting the Gili Islands after spending some time on Nusa Lembongan. 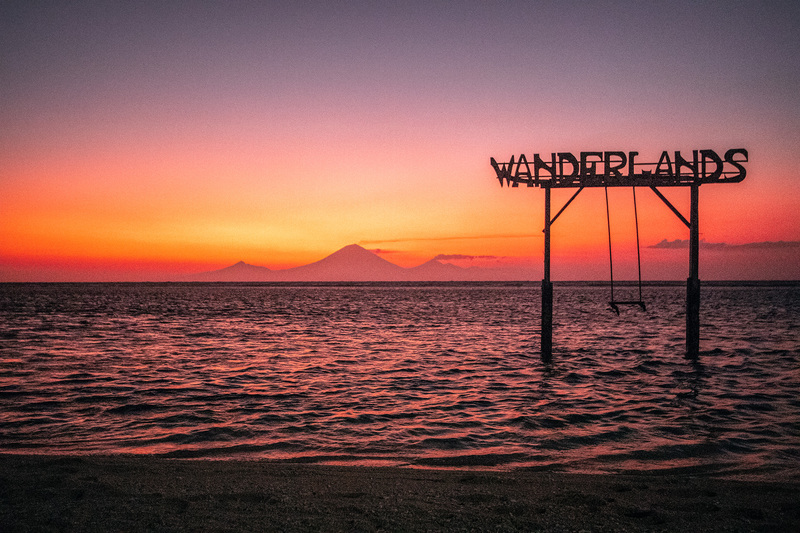 Unfortunately, we were neither able to book tickets to the Gilis on site in Sanur nor could we book them online. There was not much information out there, and the boat companies told us that the islands were still closed due to the earthquakes and there was just no way of going. After some research online, and especially with the help we found on Gili Strong, we were able to figure out that this was false information. 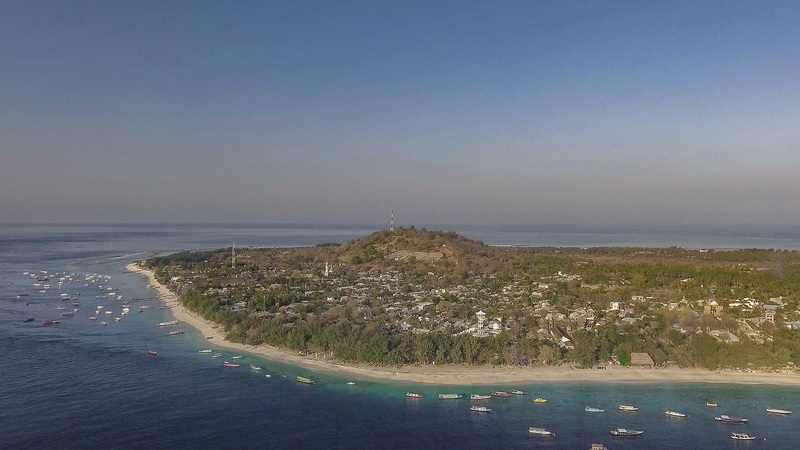 Gili Trawangan already opened to the public on September 1st, but that was about the information we could find. Still not really knowing what to expect, we took an additional excursion to Nusa Penida, where we were finally able to book a boat with EKA YAYA for September 26th. There was a lot of speculation about the state of the islands, and whether it is safe to stay. I guess we wanted to find out for ourselves. We arrived on Gili Trawangan in the afternoon. 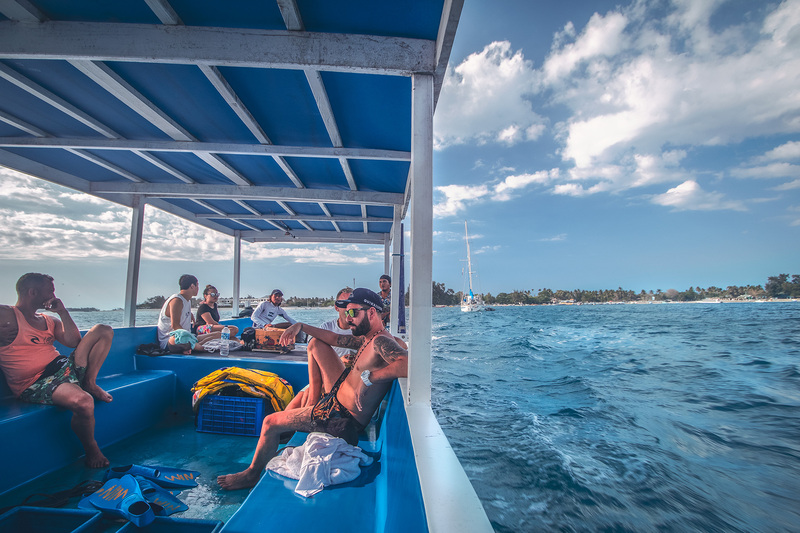 The speedboat was booked out, and the general mood was great. The rumors beforehand were quite dramatic, but once we got off the boat, we were able to see for ourselves. The crowded boat atmosphere quickly changed to empty streets. Of course, the earthquake left devastation on the small island. And yes, you can see it. 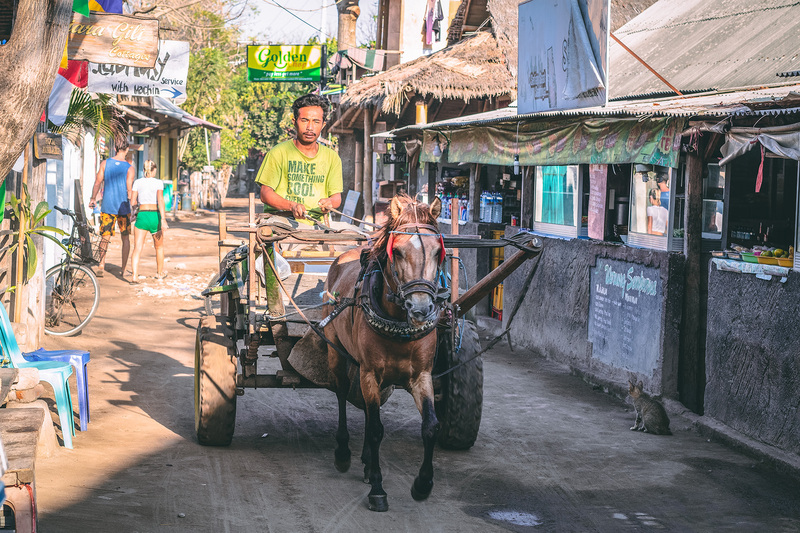 About 30% of the buildings on Gili T have been destroyed and another 40% damaged. However, the reconstruction was in full swing. Everybody was involved, and the construction work progressed around the clock, with people fixing their roofs at night with only a smartphone as their light source. The willingness to rebuilt as quickly as possible was omnipresent and impressive. Apart from the visible impact, the island was back and very much open to the public! Will my hotel on Gili be a construction site? There are plenty of places open and operating as usual. Wooden framed bungalows and other wood-framed structures had certain advantages and are more likely to be back in business. 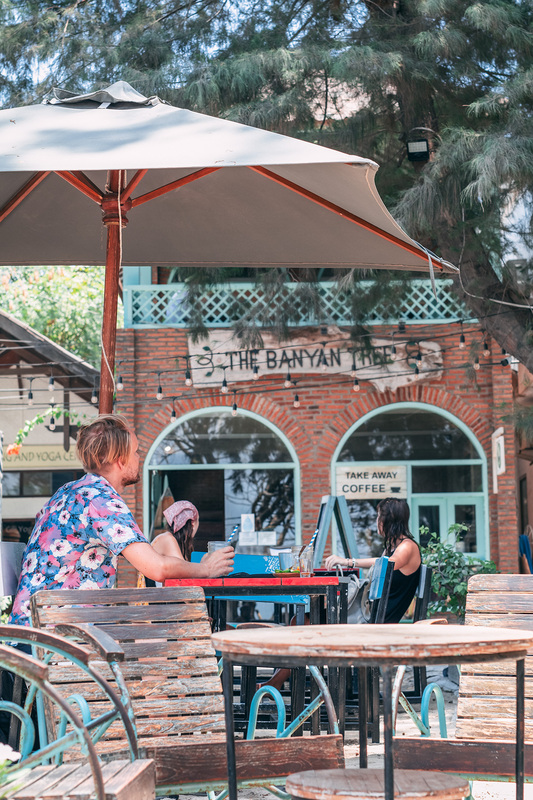 If you are uncertain about your accommodation reach out via E-Mail and/or check out the Gili Strong map of businesses that are currently open and the ones that will open soon here..
We stayed at the Gili Breeze and could not have been happier! The staff is unbelievably sweet, and the bungalows were in top shape. The place only had destruction on one of their bungalows, which they fixed during our stay. Seeing the progress, they made each day, was remarkable. Always with a smile on their faces. We loved it so much that we extended our stay and already can’t wait to come back! 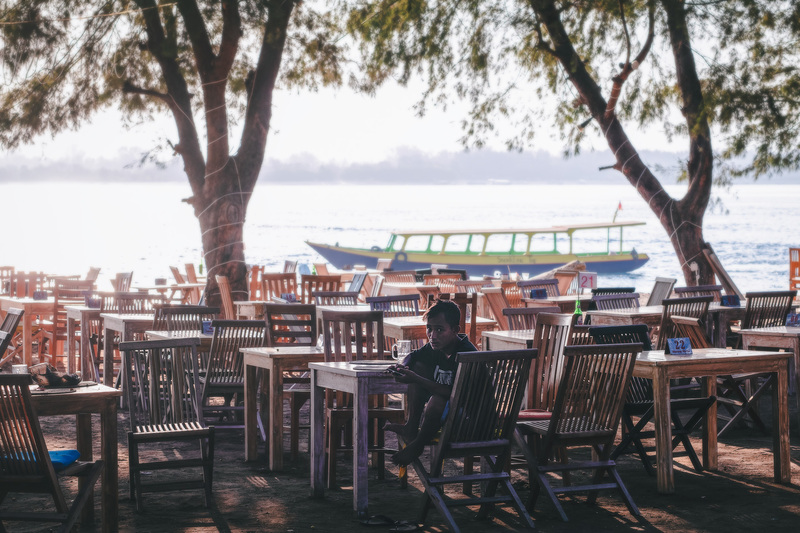 What can we do on the Gili Islands after the earthquakes? Everything you planned on doing! I don’t think there is a single exception. We had the best of times. The deserted islands might even have been to our advantage. We had the beach mostly to ourselves. There was no snorkeling battle over being closest to the turtles. We could eat what we wanted whenever we wanted to a shamefully low price. You will not run short of options to enjoy this idyll. The marine life at the Gilis is rich and spectacular. It’s no secret that the archipelago is one of the world’s top diving destinations. 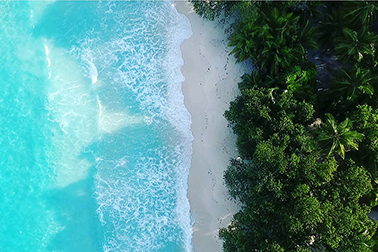 Situated in the Coral Triangle exactly where the colder waters of the Indian Ocean meet the warm waters of the Pacific Ocean, forming the largest variety of marine life on the planet. 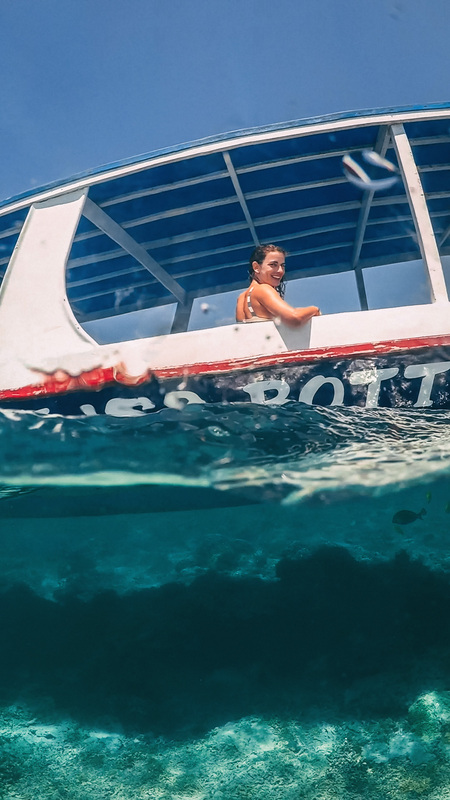 Our glass bottom boat snorkeling trip was fantastic, and we regret to have not taken a dive course. 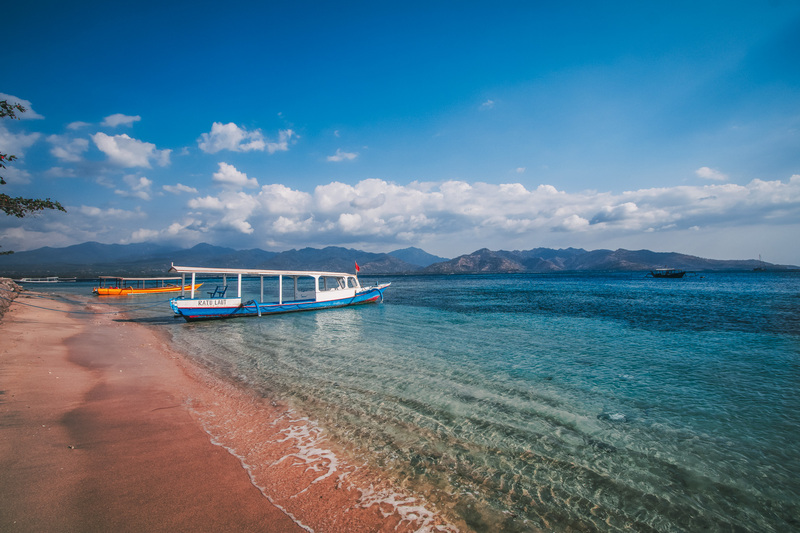 Is it worth it to visit the Gili Islands after the earthquakes? No questions: yes, absolutely! It was the highlight of our entire trip. The positivity of everybody we met was beyond belief. From exceptional people, great food, incredible activities and dreamy sunsets to a unique relaxed island flair: there is so much to enjoy! Be prepared and bring travel insurance! 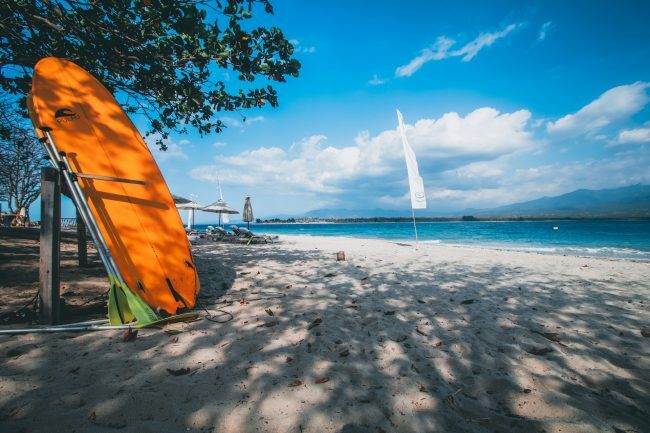 The one thing Gili needs is visitors! Will you visit the Gilis? You will love it, we can’t wait to go back! 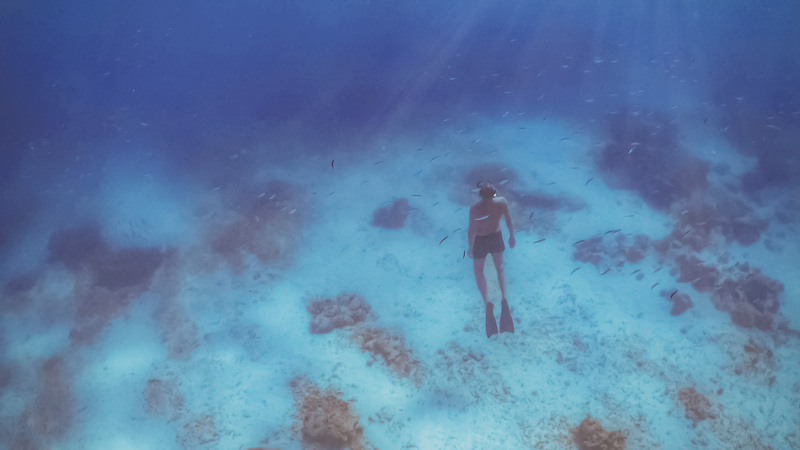 Snorkel/ Dive as much as you can! Sounds awsome! 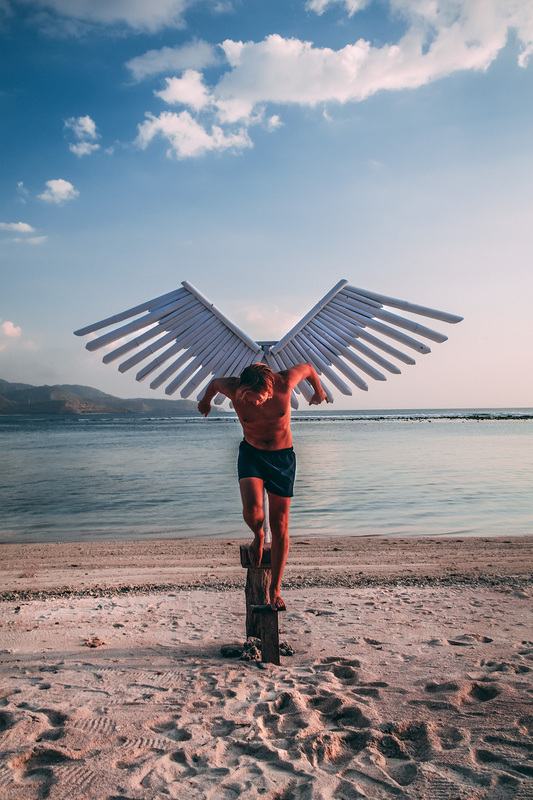 Going to gili trawagan in may/june. But i’ve got 2 questions. The first one is, where did you take the picture with the angel wings? 2 years ago i din’t see it at gili trawagan. The second one, is it possible to dive/snorkle with the statues underwater when you’re staying on gili trawagan?